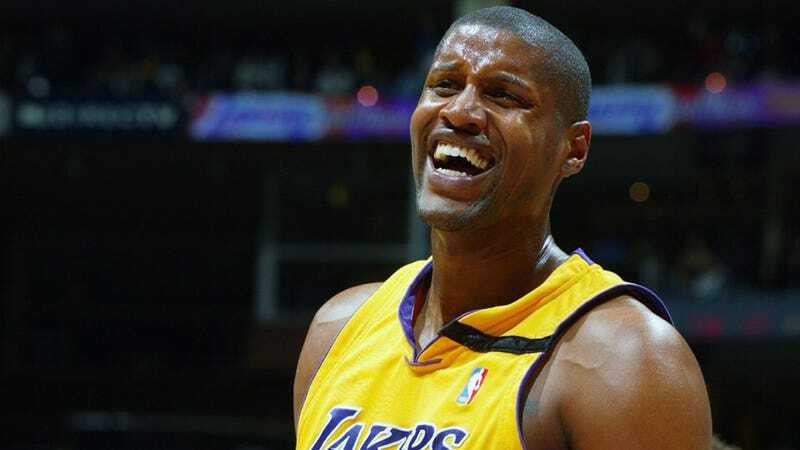 The Mavs took Samaki Walker ninth overall in 1996, between Kerry Kittles and Erick Dampier, four picks before Kobe Bryant, and six before Steve Nash. Walker hasn't seen any NBA game action since December 2005, so you don't need Jay Bilas to point out that he's a bust. He's played in Russia, Syria, China, and South Korea since washing out of the NBA. After being pulled over in his 2002 Mercedes-Benz during a routine traffic stop in Kingman (Ariz.), Walker attempted to eat eight grams of marijuana before he was arrested. Officials seized a total of approximately 10 grams of marijuana, in addition to some prescription drugs and eight bottles of liquid steroids. Walker still plays professional basketball for Al-Jalaa Aleppo in Syria, where he said that steroids are legal. Unfortunately for him, they are illegal in Arizona and he was charged with a misdemeanor. But isn't the saddest part of this story actually "2002 Mercedes-Benz?"